Each week, the youthful voices of the Howard Gospel Choir fill the halls of the historic Andrew Rankin Chapel. The venue, which sits prominently on the main quadrangle of Howard University, boasts an impressive list of visitors by American greats like Frederick Douglass, Eleanor Roosevelt, Martin Luther King, Jr., and John F. Kennedy. Today former members like Smallwood serve as ambassadors to the university, performing around the world and offering a mix of soulful musicality with a ministry devoted to being “salt and light” wherever they go. Yet several decades ago gospel music was deemed an unwelcomed genre by the faculty of the music department. During the 1960s and 1970s, a music major who was caught playing anything outside the catalogue of classical composers could be suspended. 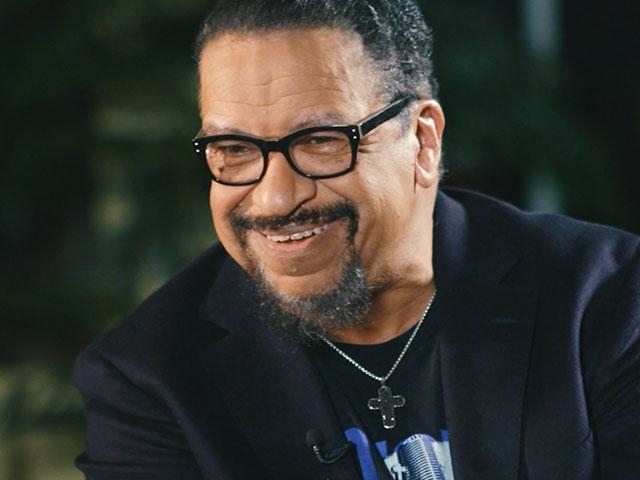 “Gospel music was a no-no,” recalled Richard Smallwood, a Grammy Award-winning gospel artist, a 1971 graduate of Howard University and one of the choir’s founding members. Smallwood, considered a living legend in black gospel music, has been performing on the world stage for decades. His love of music developed while he was still in diapers and in a crib. His stepfather was a Baptist preacher who played the piano. “By the time I was 7, I was playing for his church,” Smallwood recalled. But it was his mother, Mabel R. Smallwood, who helped him develop an ear for all kinds of music — exposing him to everything from classical to jazz to opera to show tunes and a variety of artists like Ella Fitzgerald, Peggy Lee, Rachmaninoff, and the Roberta Martin Singers. “I was growing up this little kid with all these crazy tastes,” he told CBN News. From a small kids’ choir, which he to this day affectionately refers to as the “Baby Smallwood Singers,” to his current ensemble, “Vision,” Smallwood has earned multiple Grammy nominations, Dove Awards, Stellar Awards, and a spot in the Gospel Music Hall of Fame. In September 2015, his popular anthem “Total Praise” was performed for Pope Francis during a White House reception hosted by President Barack Obama. It was a moment he describes as amazing. The maestro’s songs are sung the world over — instantly recognizable by the distinctive “Smallwood sound,” which can be described as a heavenly blend of soaring melodies expressed through the genre of traditional gospel music and infused with his years of classical training. Still, with all the acclaim and success, Smallwood, an ordained minister, stunned fans last year when he revealed that his signature sound often came from a place of pain. In the living room of his suburban Maryland home on the outskirts of Washington, D.C., he told CBN’s John Jessup that he started dealing with depression when he was around 30 years old. The feeling of being overwhelmed increased after a series of tragedies that landed him in what he described as a “deep, dark well.” Those included the deaths of several close friends and learning in his adult years that the man he called “dad” from childhood was not his biological father. “All of that was going on at the same time, and I just had to talk to somebody,” he explained. He approached a minister from his church, who was also a licensed clinical psychologist. “After seeing me a while she said, ‘Richard, you’re 100 percent clinically depressed,'” Smallwood recalled. The talks helped, but he remained in the dark hole. Ironically, the same man who encouraged concertgoers with lyrics like “There’s healing for your sorrow / healing for your soul” says he felt like a fraud since those very words left him feeling unchanged. “They’re coming up to me saying, ‘Your song saved me from this’ or ‘Your song ministered to me,’ and I’d go off the stage and go back to the hotel, close the door and I’m hurting,” Smallwood explained. The pain intensified as he desperately tried to keep it hidden from everyone. – Click here to read more. This entry was posted in Cover Stories, Gospel, Interviews and tagged depression, Richard Smallwood by Kris Patrick. Bookmark the permalink.